. . . and, perhaps more importantly than all the other factors, very cheap – it can be purchased from China in a quantity of one for less than £4 ! 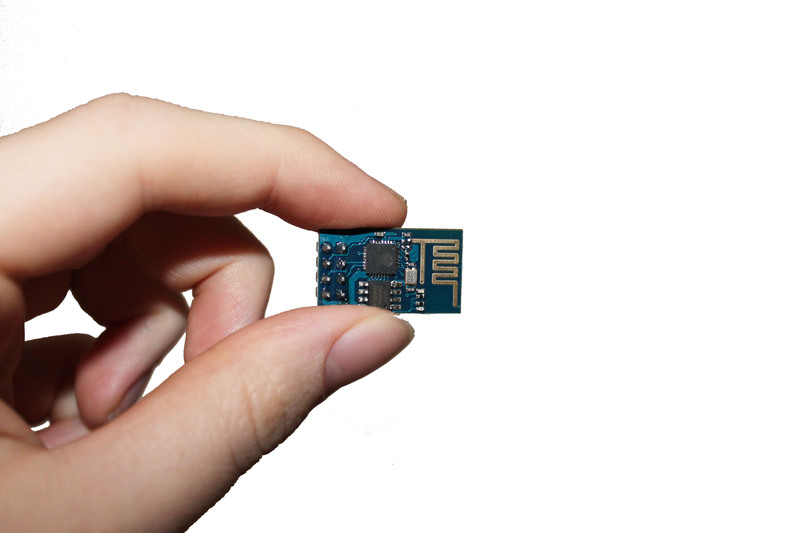 There are no market equivalents for the DIY community – the XBee has been a popular choice for adding WiFi to DIY projects up until now, but the ESP8266 module is close to one tenth the price making it easily accessible for all types of low cost applications. AT+RST will perform a software reset on the device. AT+CWLAPwill displat all of the currently available WiFi networks etc. – simple enough! How do I set up the ESP8266 Module? 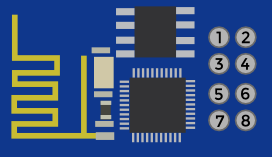 As such, you can easily wire up the module to an Arduino or just a simple USB to serial converter and start sending AT commands (Remember: RX on the module joins to TX on the connection device and vice versa!). What are the drawbacks of using this module? As we’ve seen above, this is shaping up to be a very good value-for-money solution for adding WiFi capabilities to DIY projects, so what are the limitations. The module is rather ‘power thirsty’. The current supplied via USB to an Arduino is barely enough to power this module. Other websites have recommended that you should have easily 1A available, but I have not measured this myself. This makes integrating the module slightly more tricky as a second, separate voltage regulator is required and it also rules out any battery powered projects. It is temperamental – I’ve had a chance to play with this module, and although it works most of the time, all of the sample code I have found provides far from a solid solution – there are plenty of quirks to using it. Where can I go from now?